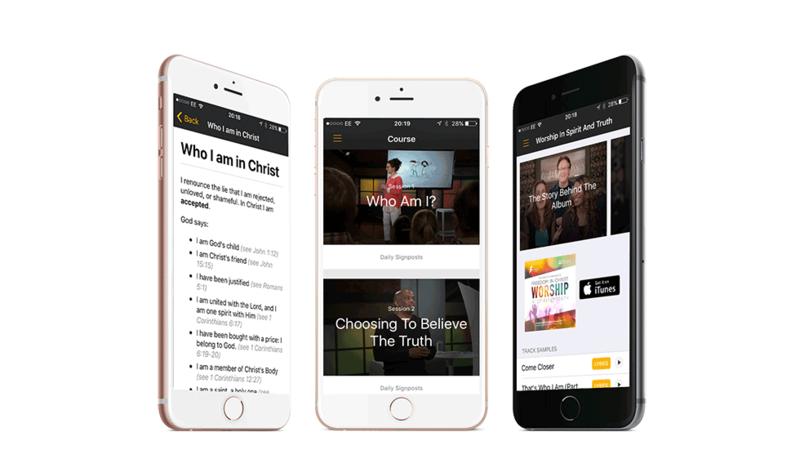 The Freedom In Christ course app packs loads of extra features to help you really connect with the truth of the freedom Jesus has won for you, so that you might walk on in fruitfulness, into all the things God has planned in advance for you to do! • A "Daily Nugget of Truth" to help you reflect on the teaching between sessions. • "Meet the Presenters" film and Extra Teaching films. • All the scriptures from the Truth Encounter Lists. • Introduction to the Worship in Spirit & Truth Album. • The Freedom In Christ Daily Devotional. Available from Google Play and the Apple Store as a free download with In App purchase of £1.49 to unlock all content.